The recent innovation to Vega Sport Performance Protein comes from the addition of SaviSeed (sacha inchi) protein, a rich, plant-based source of the amino acid tryptophan. Tryptophan is a key component of serotonin production(1). Serotonin—the feel good hormone—helps with the mental aspect of recovery, so you’ll keep the drive alive and be motivated to train again. Take Vega Sport Performance Protein within 30 to 90 minutes of your workout or throughout the day to meet your individual protein needs to recharge and repair so you can do it all again, sooner. For optimal results, use in conjunction with Vega Sport Recovery Accelerator. 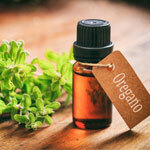 Pizza, pasta sauce, and more of our favorite dishes just wouldn't be the same without oregano. High-intensity interval training may boost your fitness at a cost -- perhaps increasing your risk for injuries. Even if you love your job, your workspace might not love you back. Because people may spend 40 or more hours on the job, often at a desk, all that exposure to less-than-inspiring surroundings can negatively influence health. Make fresh popcorn the old fashioned way – with a pot, stove, kernels, a little oil and a lot of shaking. Microwaveable popcorn bags are coated with suspected cancer-causing perfluorinated chemicals. Stove-popping is just one way to avoid contact with the countless chemicals we’re exposed to daily.